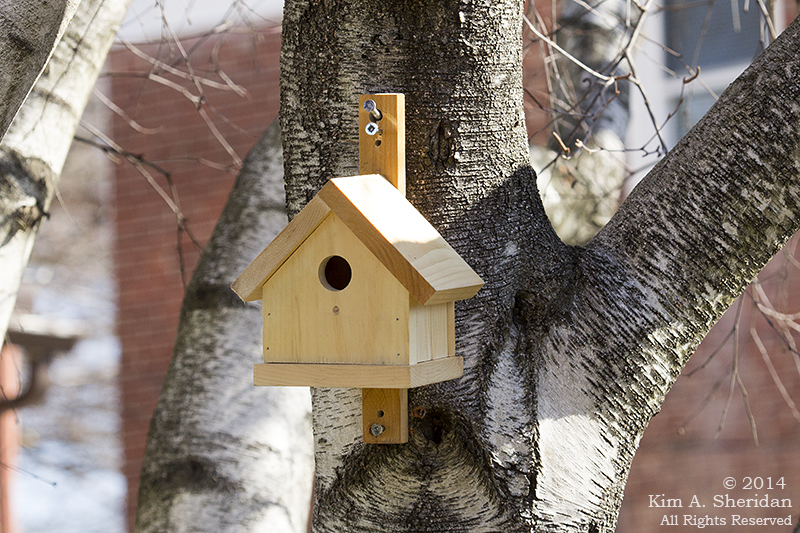 April 1: FOR RENT – CHEEP! One room condo, great location, close to schools, kind landlady. 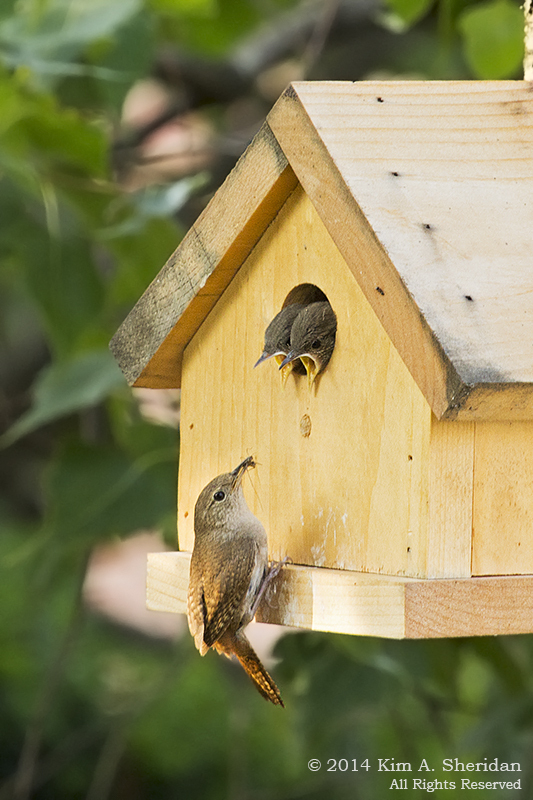 Perfect for growing family! 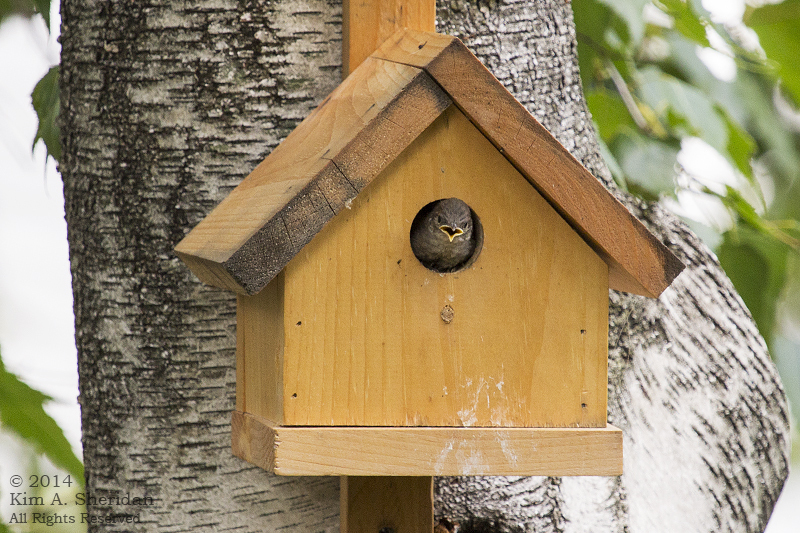 House sparrows need not apply. July 21: I’m a baby bird hostess again! 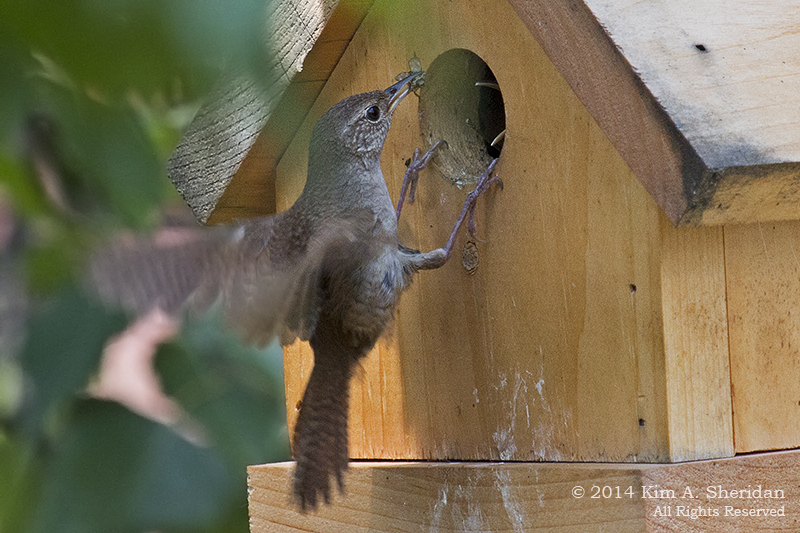 Finally there are baby wrens in the nest box. 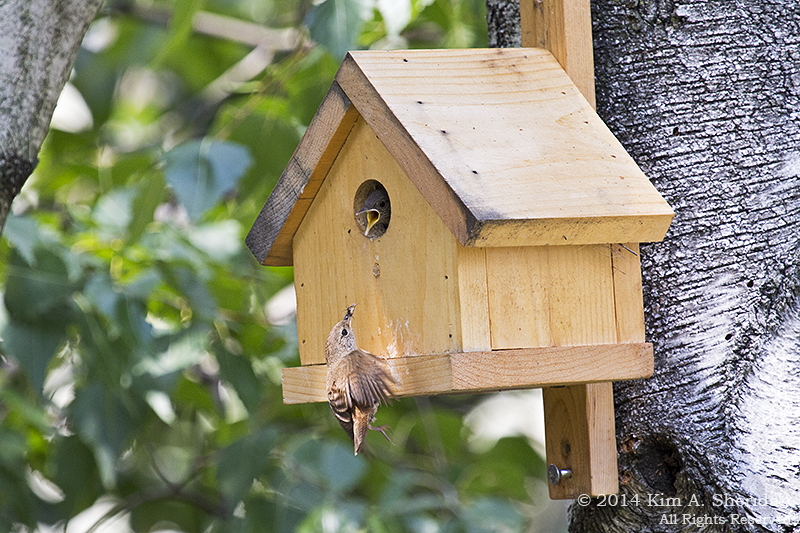 Can’t see them, but I hear their chatter when a parent comes in with food. July 27: No dessert until you eat your bees! 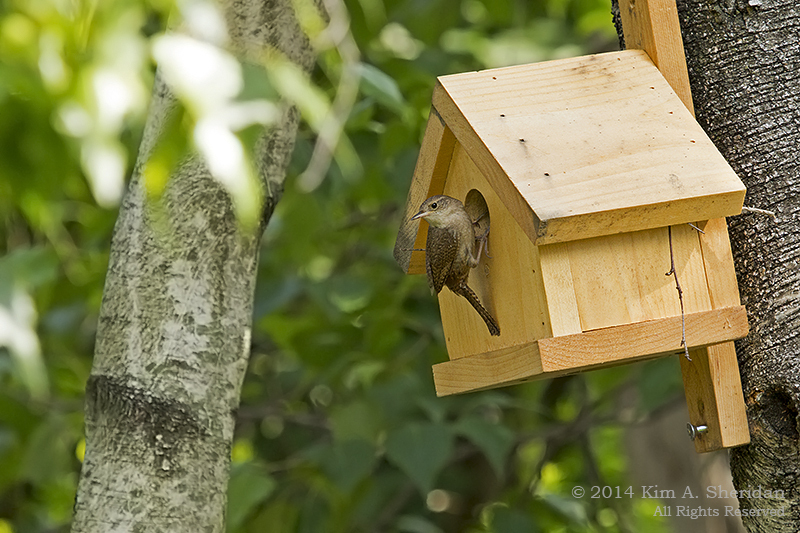 There are at least 3 baby wrens in my box. July 28: It’s a big wide world out there, little one. Are you sure you’re ready? 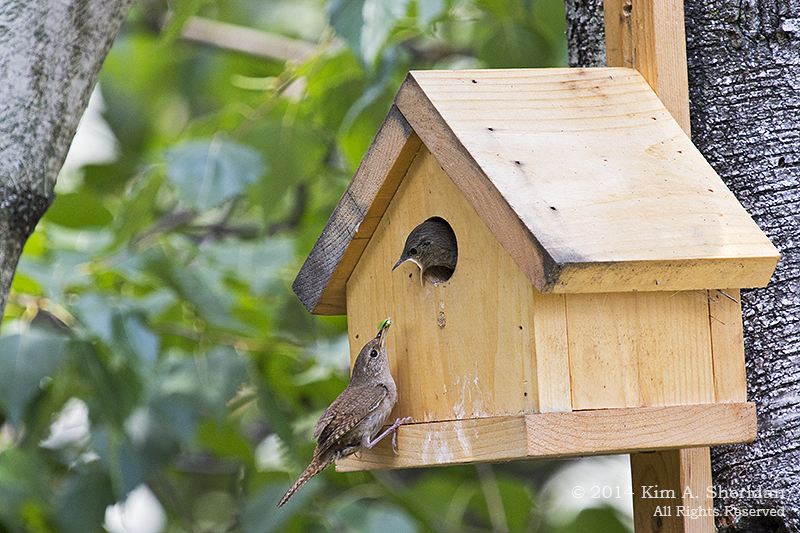 Apparently so, my wren babies have left the nest box! 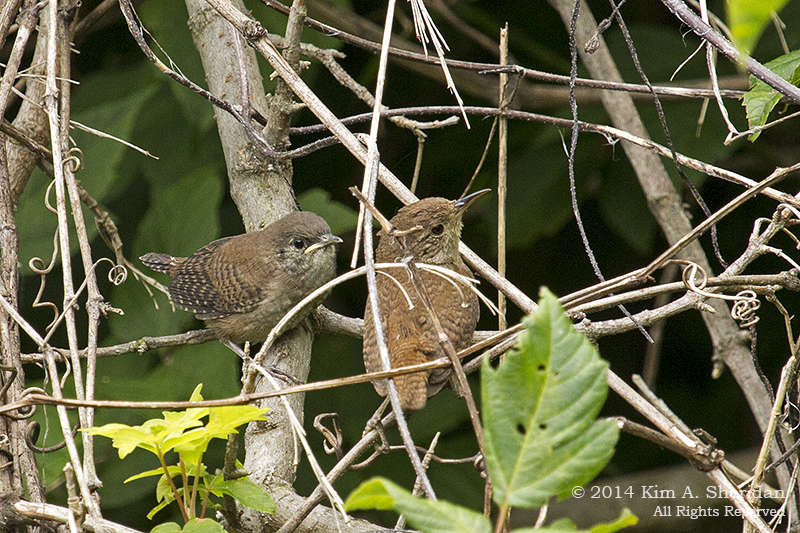 July 29: Meanwhile, back at the Refuge…other baby wrens are out of the nest and being fed by other harried parents. The always amazing Circle of Life. 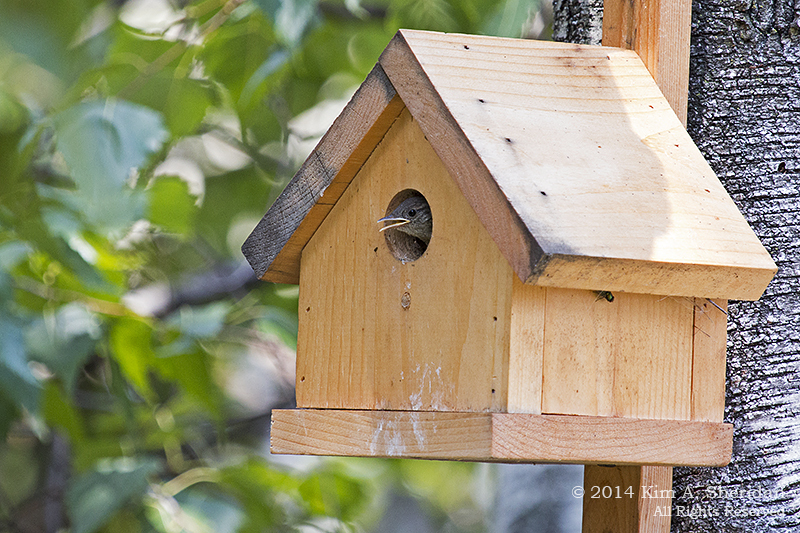 This entry was posted in Birds, Nature and tagged Birds, Nature by Kim. Bookmark the permalink.